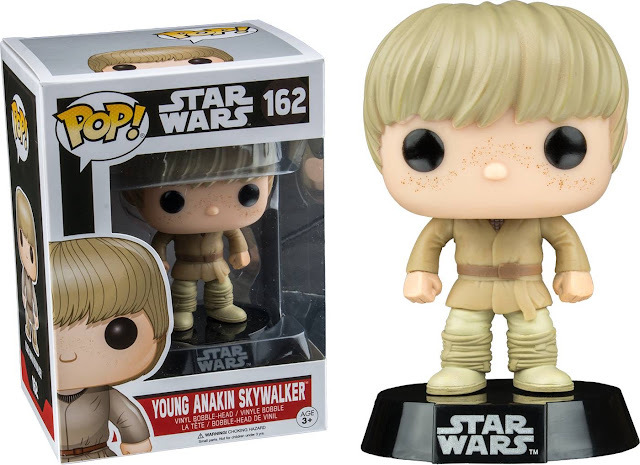 The good folks are Funko are showing the Prequel Trilogy even more love with one of their newly revealed products! Yakface is reporting that the latest Funko Pop! figure from Funko will be a young Anakin Skywalker, as he appears in Episode I: The Phantom Menace. The figure is a Target exclusive and will reportedly be on shelves in a few weeks. While we've several versions of Darth Vader as a Pop! in the past, this will be the first time his masked alter ego is getting a figure.